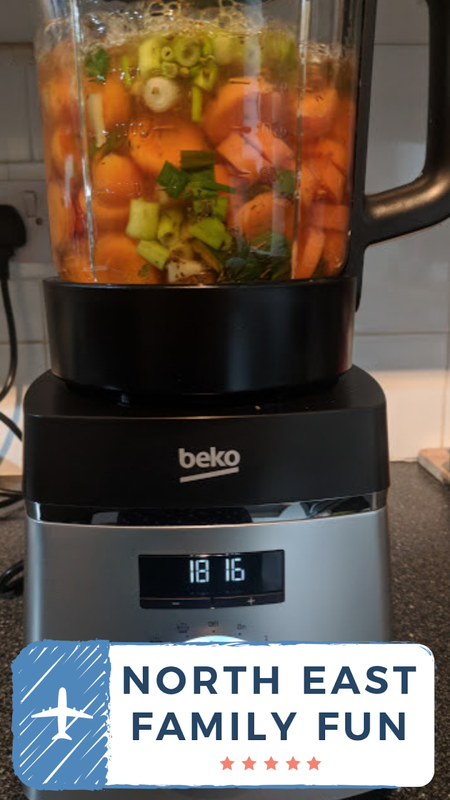 After trying homemade smoothies in September, it was now time to put the Beko Soup Maker through its paces. I'll be honest when I say I'm not a huge soup fan and as a family, we have three staples - homemade chicken soup made in a pan when anyone is poorly, tomato soup from a tin or homemade Thai-style soup for Steve and I. I've always found making soup from scratch to be a rather long and drawn-out process and in the past, I'd never have considered buying a Soup Maker and didn't really know much about them. I am not the main cook in our house but decided to test the Beko Soup Maker out for the first time while Steve was working late and it was just me and the kids at home. How hard could it be???? I love this little leaflet attached to the Soup Maker - 'for delegating cooks'. This is 100% me and it feels as if Soup Makers were designed for people like me who really would love to cook from scratch more often but perhaps don't have the time or knowledge to do so. You really do delegate the whole job to the Soup Maker and it could not be easier. The Beko Soup Maker comes with five programmes - chunky soup, smooth soup, sauce, crushed ice and auto clean. 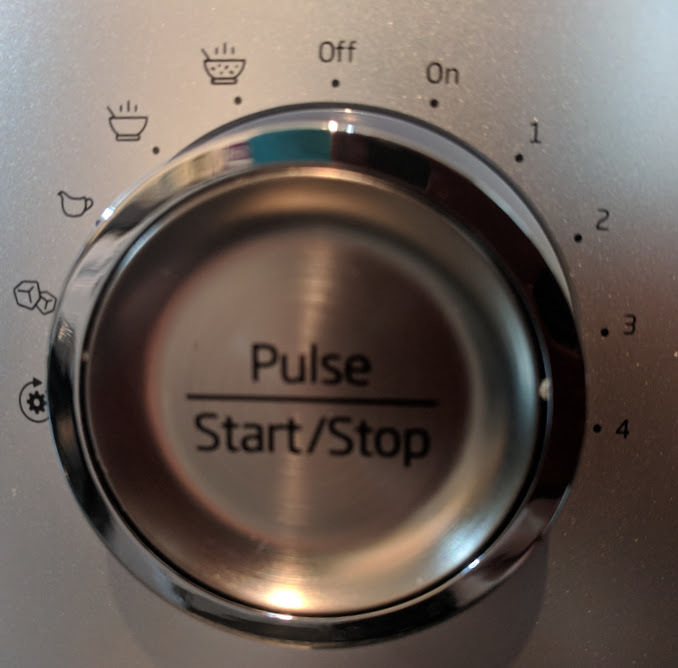 There's also a 'keep warm' function and 5-speed settings to use the Soup Maker as a regular blender or manually 'pulse' an ingredient. 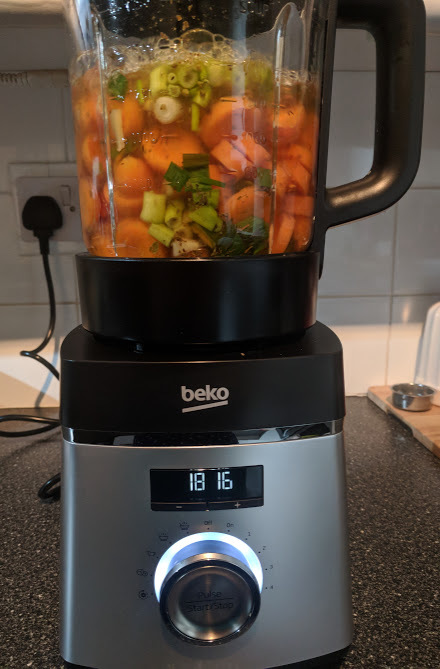 The RRP of this product is just £100 and considering the number of functions and uses (which go way above and beyond making soup), I think this product is a massive bargain. 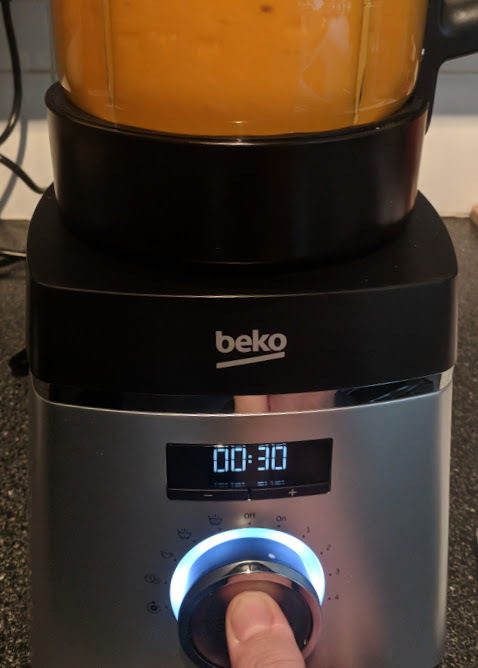 The Beko Soup Maker was super easy to assemble and straightforward for amateurs like me. Basically, sit the jug on the base. It feels really sturdy and has suction pads on the base. The glass jug is thick and heat resistant and I like that if the lid isn't sitting right, the programme won't start until it's in the right position. I also added some leftover greek yoghurt at the end of the process which gave a nice and creamy finish. The beauty of the Soup Maker is that you can pretty much throw any leftover veg in. The above was enough for three bowls of soup for the kids after school. Honestly what happens next is nothing short of magical. The Soup Maker heats up and bubbles away, cooking your ingredients to perfection. I would recommend making sure the machine has plenty of space as a lot of steam will escape (also be careful when removing the lid). 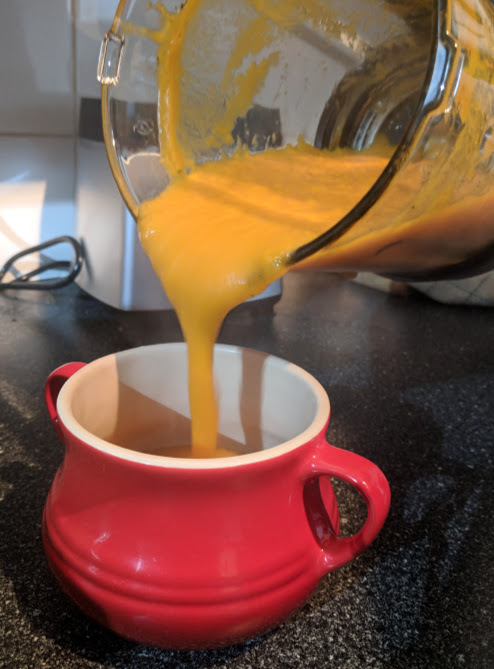 I loved that I could just let the Soup Maker work its magic in the kitchen and let me get on with helping the kids with their homework where as if I was cooking soup in a traditional pan, I would constantly need to be standing over it. During the last minute or so, the Soup Maker changes into 'blend' mode. Like most blenders, this is a noisy process and we all rushed into the kitchen to watch it in action. I must admit, I was a little scared as the little machine powerfully blended a jug full of boiling hot ingredients. I was worried it was going to explode but after a few uses, I've now got used to this and I can verify that it won't explode. 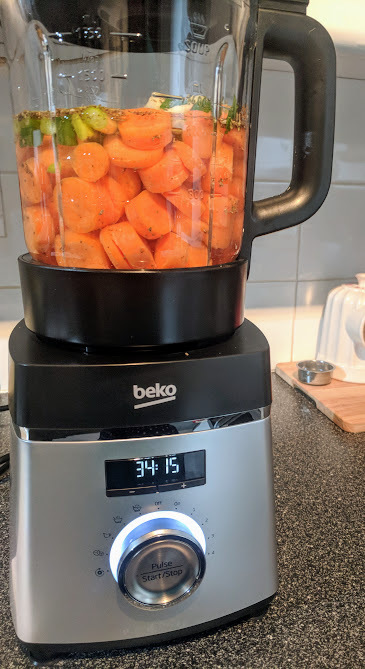 It's amazing to watch and I can't believe a machine will take your raw vegetables and turn them into a deliciously smooth soup in less than half an hour. 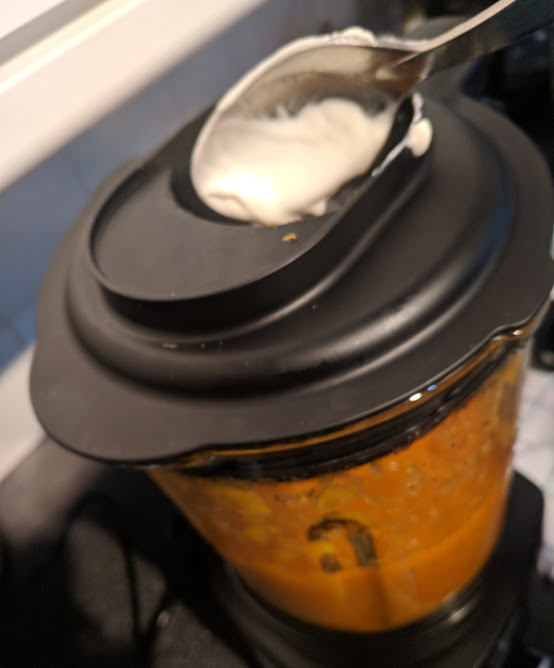 I added a couple of spoonfuls of Greek Yoghurt via the removable lid and then used the manual pulse action to combine. The result was a lovely smooth and creamy finish. How good does this soup look! It tasted lovely too and I was chuffed that I'd been able to make something which I would happily eat in a restaurant with only 3 minutes prep time. Unbelievable! I've made variations of this soup a couple of times now and leftover veg soup is now a little bit of a Monday night tradition. I love that I can spend a couple of minutes chopping veg, pop everything in the Soup Maker, set it away and that's it. 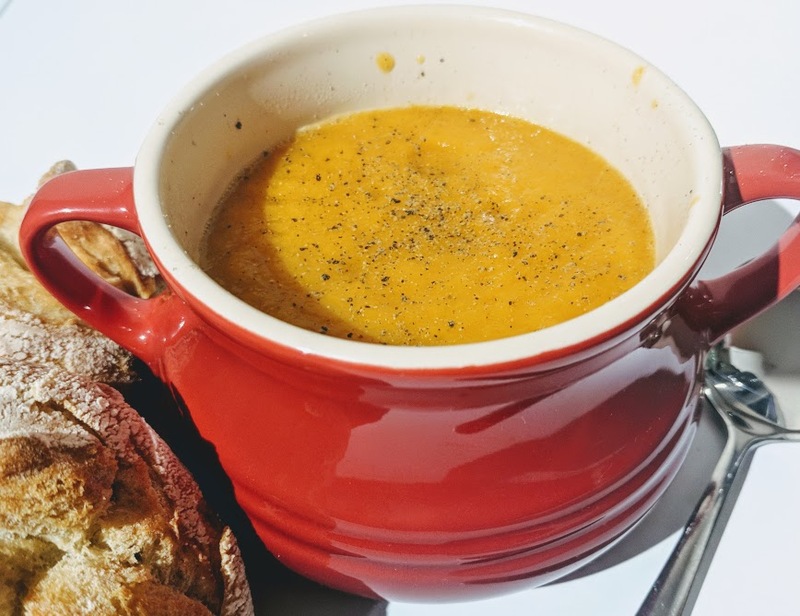 Making vegetable soup like this from scratch is so comforting on a cold winter's night and is an easy way to increase your veg intake for the day and include a few types of veg your kids wouldn't necessarily eat if they were on their plate. 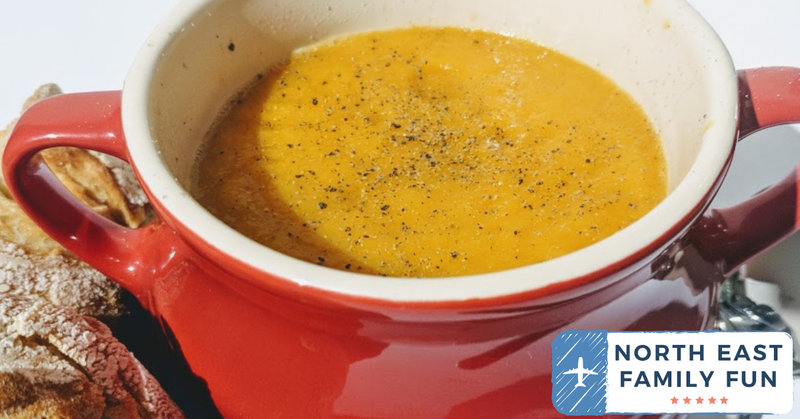 Last week I even chopped the veg and popped it in the Soup Maker before picking the kids up then when we arrived home, I simply hit start and that was the job done - fresh homemade soup within 30 minutes of stepping through the door with zero input from me. Preparing healthy after-school meals for the kids has never been easier or taken less time. 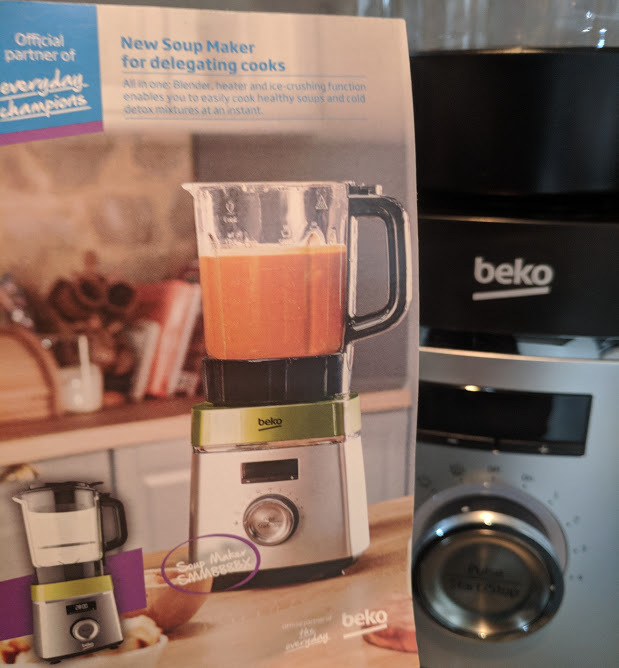 When Beko sent us the Soup Maker, I honestly did not think we'd use it and even offered it to my in-laws who love making soup. I just didn't think it would be an appliance we'd ever use. But now I've used it a couple of times, I absolutely LOVE how convenient it is and it's actually quite fun creating our own leftover recipes and something I can get the kids involved with too. 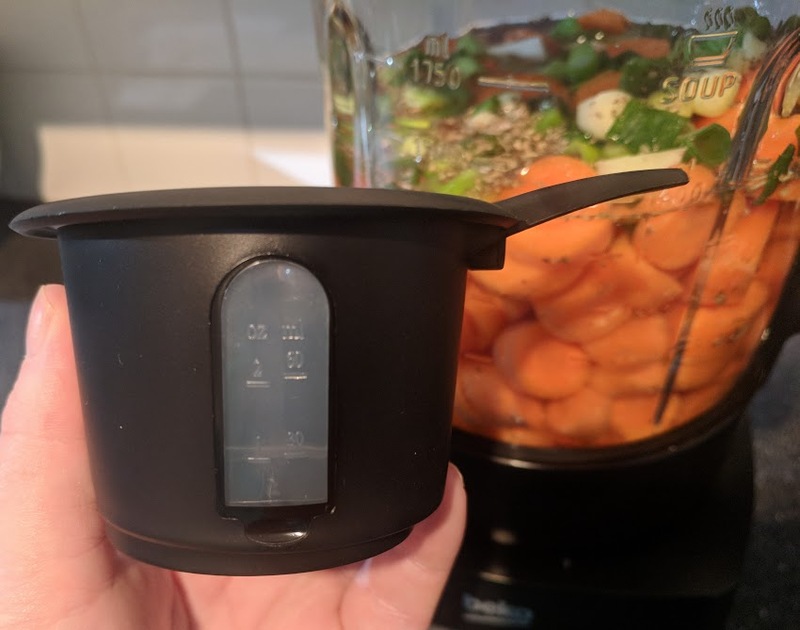 If you're a busy parent and would like to include more fresh vegetables into your family diet, I would definitely check this gadget out.